Seems like only yesterday I was talking about Jupiter coming back into the evening sky, and now it’s shining high and bright early every evening. Never fails to impress, even through a small telescope. Mars is almost gone, vanishing below the horizon soon after sunset. Venus is back and shining bright again, but only if you are willing to get up before dawn to see it. It’s now a growing crescent, the “Morning Star” shining brightly in the east. 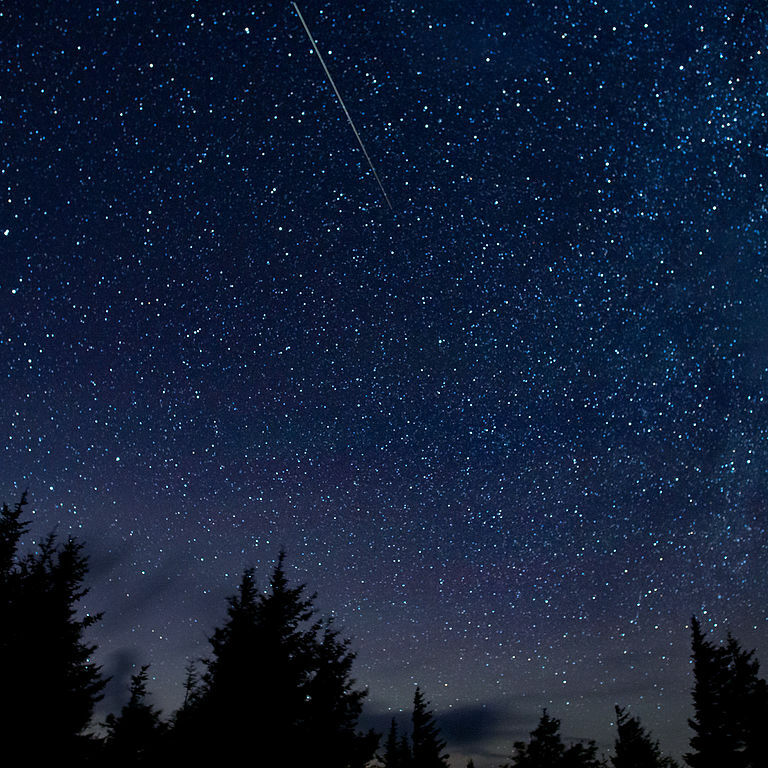 Even if you’re normally not an early riser, you may have another reason to see Venus this week – the Eta Aquariid meteor shower. As described a couple weeks back with the Lyrids, this shower is the result of Earth passing through the dusty trail of a comet, and the source of the Eta Aquariids is none other than the grand-daddy of comets, 1P Halley. The river of dust in this case is wider than the one a few weeks back, so the viewing period, which peaks on May 6, is actually days wide – we may start seeing these meteors now, through May 13 or so. This shower is typically a dense one, generating up to 60 an hour, but the apparent origin (its radiant) is shifted somewhat south, and its typically a better show from the Southern Hemisphere. Regardless, if you’re up before dawn, spend some time looking above and to the south of Venus (which, again, is obvious pre-dawn these days). This week you might just catch a show. Saw Jupiter and 4 of its moons on Friday night with Southern MD Astrological Society. The bands are gorgeous! Definitely worth a look! I got a good look at it last night too. My scope isn’t huge, but could easily see two nice peach-colored lateral bands, and 4 Galilean moons – 2 clustered close to one side, the other 2 farther out on the opposite side. Really neat – looking forward to Saturn making its way into the evening hours too! Glad you got a look!